Onboarding new customer service reps quickly and successfully is as important to your customers as it is for your team and business. Whether you’re quickly building your support team or dealing with attrition, helping your reps hit the ground running will also help you maintain high customer satisfaction. Here you'll find advice for setting expectations for new reps and also tips for successful onboarding and training. 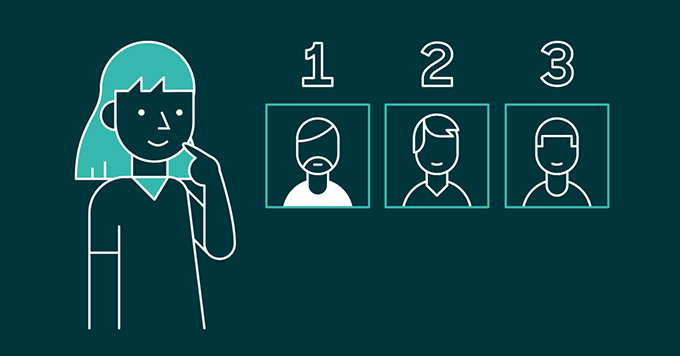 At the end of your onboarding phase, you want all new reps to demonstrate the following. Product or services knowledge. Have they gotten up to speed quickly, do they know your products and services well, are they good at diagnosing common support issues, and can they can resolve support requests on their own? Support workflow and policy knowledge. Do they understand how your team handles support issue escalation, the triaging process, your incident and problem processes, and so on? Customer interaction best practices. Have they learned your best practices for how to respond to customers in specific situations (replying to customers on social media channels for example), have they demonstrated active listening and empathy, and do they converse with customers in a way that represents your company’s values and brand? Technical skills. If that’s part of their job, are they demonstrating their technical skills in their responses to customers, are they learning more technical skills? Consistency. Are they delivering consistently good responses, are their customers satisfied, and are they getting good ratings? Here are some approaches to onboarding and training new reps. Note: We refer to support issues that are managed in your help desk as tickets. Use other reps to train new reps. More experienced reps know your products and services well and can provide training to new reps. You can set up a recurring training program that is run by experienced reps who are good at providing training or you can have new reps work one on one with them. Of course, doing this means that you’ll need to budget some time for those experienced reps to develop, maintain, and deliver that training. Leverage your knowledge base. If you don’t already have one, you should build a knowledge base to provide your customers with self-service information for using your products and services. This can be as essential to your reps as it is to your customers and is a great way for new reps to get up to speed. The internal version of your KB can contain all the operational details about support workflow and policies that new reps can easily access and consult when needed. Practice with simulated tickets. Set up a test account for the new rep in your help desk software and populate it with a standard set of fake tickets that cover a wide range of common support issues. Have new reps respond to these tickets and then review them together. Be sure to update these tickets as your products or services evolve. Review live tickets responses before replying to customers. Until you’re confident that your new reps are ready to provide accurate responses to customers, you can have a senior member of staff review their responses before they’re sent to the customer. This works best in asynchronous channels such as email, of course. For “live” channels such as voice, chat, or face-to-face customer service, pair your onboarding rep with an experienced mentor so they can see how the job is done, before letting them try it on their own. Provide easy access to experienced peers. Make sure it’s easy for your new reps to get help from their more-experienced peers quickly and easily. This could mean sitting them next to a mentor, or having a persistent chat room available so they can ask questions of their team. This helps your new rep provide better-quality answers quickly, especially in those first few weeks when the complexity of real-world tickets may feel overwhelming. Review the rep’s customer satisfaction ratings. After reps start handling live tickets, you can monitor the feedback they’re getting from the customers they’ve provided help to. Individual ticket satisfaction ratings and comments can be reviewed with each new rep and accuracy and consistency can be monitored and improved. Supervisors or experienced reps can also help onboarding reps respond to dissatisfied customers. Create an onboarding plan. Documenting your onboarding plan will help both your team managers and your reps by setting specific performance expectations. For example, how long the onboarding phase will last, the key performance indicators (KPIs) that the new rep needs to achieve such as support issues solved per day, average customer satisfaction rating, and so on. You can find advice about managing your customer service reps in Manage your amazing customer service team. Help has arrived - narrow down your options with our handy guide.